This Earth Day marks the tenth anniversary of the Nike Reuse-A-Shoe Program on the University campus. 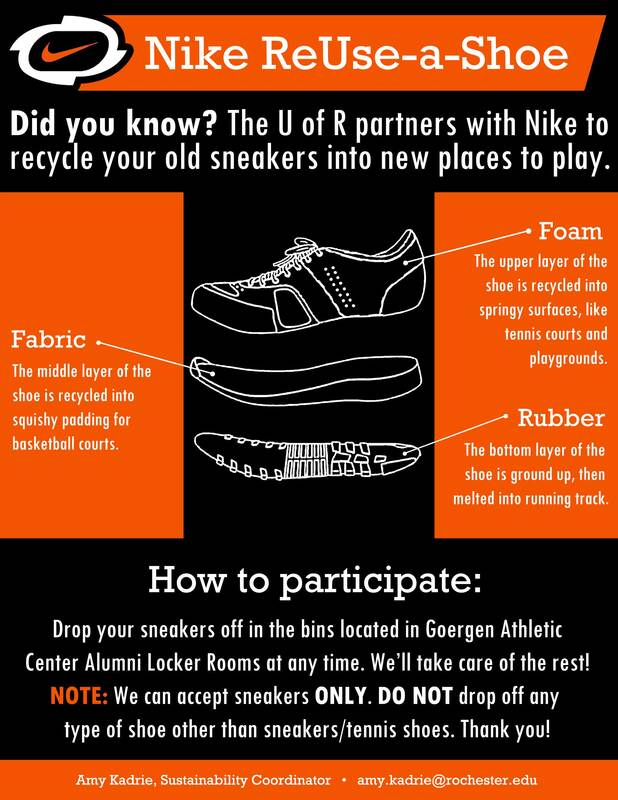 The program is a great opportunity for students, faculty, and staff to dispose of old sneakers in a sustainable way. Nike Reuse-A-Shoe gives unwanted sneakers a second life by recycling them into athletic materials. Nike started the Reuse-A-Shoe program in the 1990s as an innovative way to divert sneakers from the landfill. Each donated shoe is split into sections, which are then combined with other waste like plastic bottles. The rubber, foam and textiles from the shoes are transformed into Nike Grind materials, which become the base of new athletic surfaces. There are multiple uses for Nike Grind based on the part of the shoe it’s made of: the upper foam layer of the shoe is made into springy surfaces like playgrounds, the middle fabric layer forms padding for basketball courts, and the rubber bottom is processed into running tracks. 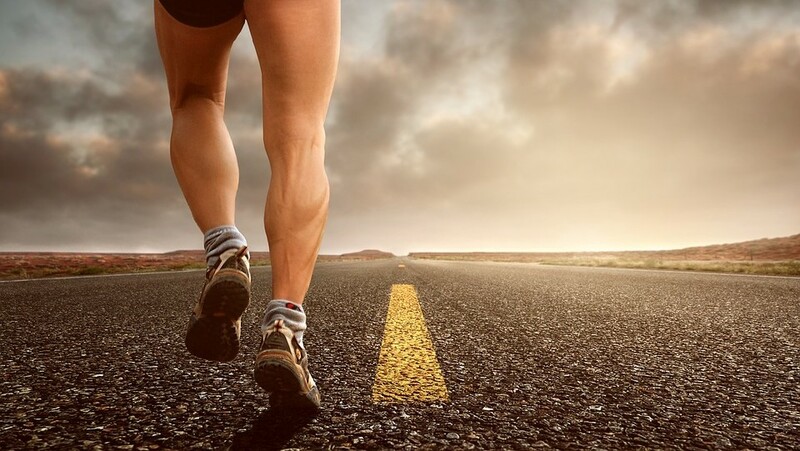 Nike also recycles old sneakers into new sneakers, and 75% of its apparel and sneakers contain recycled material. The University of Rochester has been participating in the program since Earth Day 2009, where it was debuted as part of the annual Earthfest event held by student sustainability group Grassroots. During the first month, 30 pairs of sneakers were collected, and since then it has been a hit—2,616 pairs have been donated over the past decade. University students, faculty, and staff can drop off shoes in designated bins in the main locker rooms of the Goergen Athletic Center. Those who don’t frequent the gym can also drop off shoes at the front desk. Only sneakers/tennis shoes are accepted—this means that other shoes like cleats, boots, and sandals cannot be donated. Once the sneakers are collected by University Facilities and Services, University Courier Servicesdelivers the load to the Nike store in Waterloo, New York. From there, the shoes are sent to the recycling center. Check out Nike’s video for more information on Nike Grind and the University’s Nike Reuse-A-Shoe program poster. Don’t forget to recycle your unwanted sneakers to reduce waste. Written by Isabel Lieberman, Class of 2021.